Avenger Warlock: A variant of the Avenger, armed with an EMP generator to disable enemies. 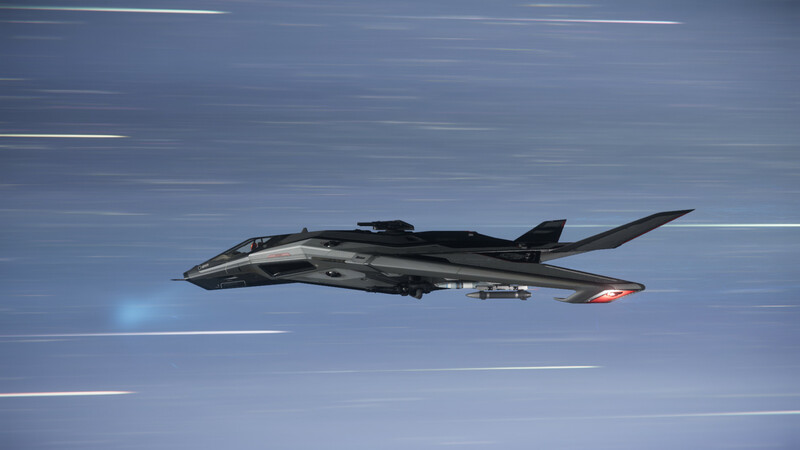 What can you do right now in Star Citizen? Explore/Visit - Space, Space-Stations, Moons, Planets, and Landing Zones. Mining - Mine materials in space and on planet, sell them at outposts/space stations/landing zones for profit. Cargo Trading - buy/sell between outposts/space stations/landing zones for profit. Ship management - Tweaking/overclocking components, managing power allocation, fuel and heat. Scanning - Scan for materials/items/people, ships for information about their cargo/personnel/status. Complete procedural missions - Delivery, Ship/FPS Combat, Investigation, Recovery and more. Complete Missions from unique Mission Givers who are characters within the 'verse. The reputation System and your CrimeStat change which missions are available to you. Join an instance with your friends and group up with the party system. Purchase Weapons, Armor, Ammo, Clothes, and Components with each landing zone having unique items. Experience plenty of bugs, crashes and all the frustration that comes with playtesting an Alpha! 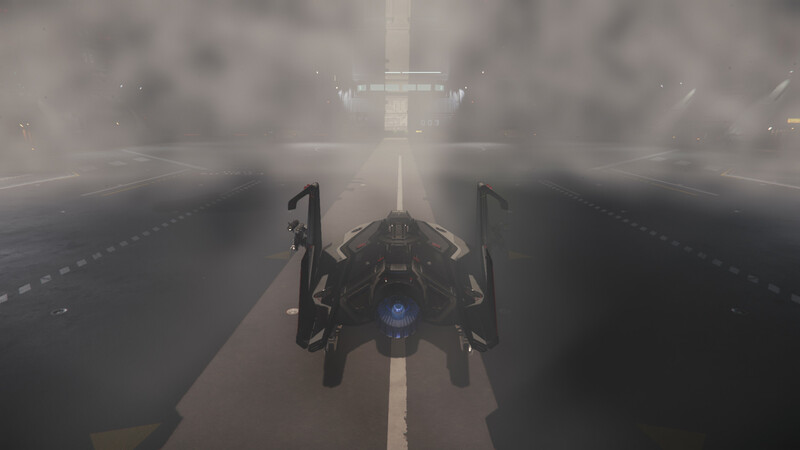 Star Citizen can be fun to sign on and check out as a new player, but the game can wear thin after a while. It lends itself to a GTA-esque sandbox style style of fun, we end up enjoying our time together and have memorable moments when we play, but it’s still very light on interesting/engaging content to do. Squadron 42 is a single player game and shares the same universe as Star Citizen, it's being developed as a modern Wing Commander. It's described as "a cinematic single-player adventure as a rookie Navy combat pilot" where you will "encounter a new level of immersion as you seamlessly transition between daring dogfights in space and exhilarating ground combat." There is character customization, some form of decision-making, AI crew that you can get to know and build relationships with, but it isn't a RPG. It is a single player cinematic story-focused campaign. When will Star Citizen or Squadron 42 come out? Star Citizen nor Squadron 42 have an announced release date. Squadron 42 will have a roadmap released in December 2018. Star Citizen can be played as it’s being developed if a game package is purchased. There are patches to Star Citizen being released every 3 months with new content. How much is Star Citizen/Squadron 42? Star Citizen/Squadron 42 are each $45. The combo-pack for Squadron 42 and Star Citizen together is discounted at $65. 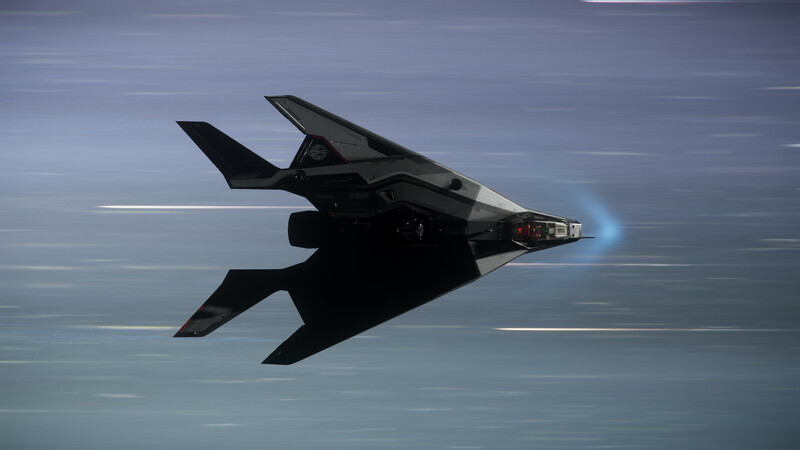 Is Star Citizen or Squadron 42 coming to console? There are no announced plans of this happening. How large is the download? The game is ~40 GB. The official system requirements are: Windows 7 (64bit) or newer. Quad Core CPU. DirectX 11 Graphics Card with 2GB RAM (4GB strongly recommended). 16GB+ RAM. SSD strongly recommended. What performance can I expect with my system specifications? Experience from backers shows that a Intel 4690K equivalent or above is very much needed, since the game is more CPU bound compared to other games you might play. 4GB VRAM is needed to comfortably play at full HD, with 6GB or 8GB needed for higher resolutions. The game currently needs about 10+GB RAM, if you only have 16GB RAM make sure to not run any other resource hogging background processes. Anything less than 16GB may not be able to run the game well. Any high end video card (GTX1070/1080, Vega56/64 and above) will allow you to play the game at 1080p+. Expect anywhere between 30 to 100+ fps, very much dependent on amount of objects and players in your vicinity. Some backers get playable performance with a GTX 970/R9 290 equivalent, though everything below may suffer from some serious bottlenecks. Do I need to buy ships to play? No, the base package gives you a ship and everything you need to play. Some mechanics like mining are currently locked behind specific ships, however you are able to rent/buy ships in game with in game currency. Do I need a subscription to play the MMO? No, Star Citizen does not require any subscriptions to play nor are there any plans to require one in the future. All you need to play is a one-time purchase of a game package ($45). What are these game modes I see? 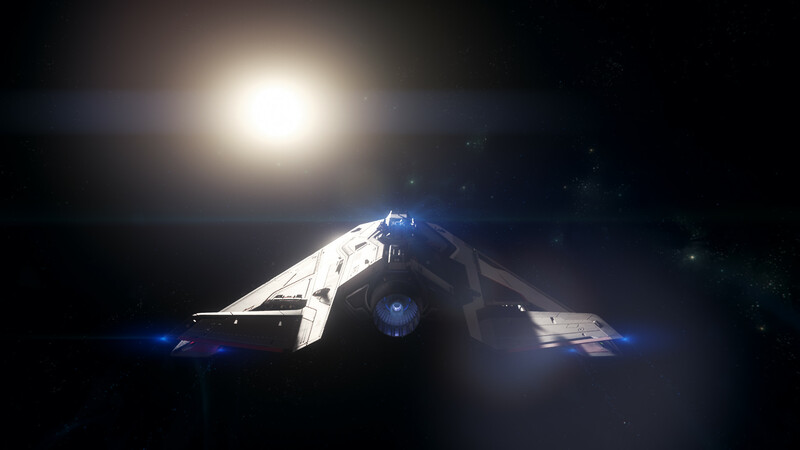 Persistant Universe is exactly that, the full-featued mode of Star Citizen. Arena Commander is the mode dedicated to dogfighting, racing, and flight mechanics - it is recommended that people learn the flight controls here. Star Marine is for FPS, matchmaking much like COD/Battlefield. If I don't buy ships, will I be at a disadvantage? Star Citizen is being designed to have different gameplay at different levels and for all kinds of players. Someone who bought a lot of ships and may have a more powerful one than yours is likely to be pursuing totally different goals and be engaging in totally different content than yourself. An example would be that if you start out in a starter salvage ship, you will be performing missions and salvaging items that would not be worth it for someone with a end-game salvage ship, and you wouldn't be worth raiding by a high-end pirate ship. The equivalent to a typical MMO is that someone who buys a high level WOW account will be performing totally different raids and performing PVP at different levels than you if you start out at a low level. The economics make it not sustainable to grief. I'm concerned about pay-to-win. It seems like buying ships will allow those with large wallets to dictate the game. The most popular ships in the game are the starter ships, most people either have starter ships or just slightly upgraded ships. Star Citizen is being designed with the fact in mind that there may be large discrepancies between players, which would happen naturally over time regardless ~ someone who joined Day 1 and works their way up will naturally have better ships than someone who buys the game 3 years later. The game is systematically designed to react dynamically to ingame happenings. If a Pirate Org who bought lots of ships is camping a mining zone and griefing new players from being able to work their way up, the game will react appropriately. First, both NPC and Player bounty hunters will be offered increased rates to take out these people, NPC bounty hunters will also be spawning more and more frequently as the demand goes higher to remove these pirates. Secondly, even if the systemic mechanics fail, there are designed "safe-space" locations that will be patrolled and monitored by the in-game police force that will respond, and will bring the required force needed to deal with people who are trying to exploit the game. They will be known criminals and as they continue to try and invade safe-space areas, the police will be quicker and react more aggressively. Lastly, running large ships will be very expensive and with caps on how much currency you can buy per week, eventually they will run out of money to keep up their griefing. In conclusion, there are multiple systems to prevent trolling, griefing, and pay-to-win being designed. As said before, there is content being designed for people at every level, with many different interests and goals. I'm concerned about grind, it seems like I'll have to grind forever to get a big ship and be able to compete with those who bought ships with cash. The grind for a ship that costs thousands of dollars will be a likely impossible grind for just a single player trying to do it alone. These ships are supposed to be used by orgs with hundreds of people in them and are supposed to be very rare and extremely hard to obtain. That being said if you got a bunch of people and said our goal is to be able to purchase one of these massive ships, and you all worked together and contributed to a fund to be able to purchase one, the grind will be significantly less and a lot more attainable than going on your own. In terms of personal progression, you're not expected to go from a small ship, grind for months or years and buy a capital ship. There's incremental progress, as you go from small ships to medium, large, etc, those ships will allow you to make more money and the next progress step will be more attainable as you climb the ladder. You're also going to be able to buy used ships, rent ships, so it's not like you're going to have to buy each ship outright just to use them. In the end, Star Citizen is being designed in a sense that the only goal is to have fun doing whatever you enjoy doing, if they succeed then the grind won't be prohibitive to enjoying the game. Will this game ever be finished? It seems like they have no incentive to finish it, they will keep taking without delivering based off the money they're raising. Nobody here can guarantee that this game will ever reach "Live" until it does. However, it makes sense to believe that CIG would make more money by continuing to develop the game, add new locations, add new features, mechanics, and things to do so that the game doesn't get stale to backers who would lose faith in development. If they continue doing this eventually they will reach live. Despite the reputation Star Citizen has, the game has come a long way over the years and backers have been happy with the recent quarterly patches. It also makes sense to believe that with the stigma of this game never being able to be finished and forever in development off their back, they can reach a more broad audience. Finally, it makes sense that if they had no intention of delivering a complete game, they would not have a staff of over 500 people and hiring more all the time. This all being said, CIG has said their intention is to indefinitely release patches every 3 months, even beyond "Live". Who is funding this game and why do they keep making so much money? People are, people like you or me. The same decision you might make to build a new PC, or buy an Xbox/PS4 and buy a game to play with your friends are the same decisions those who back this game are making. They keep making money, because as said before, the games development is impressive to many people and we want to see this game fully realized and are willing to take the risk on potentially not getting the game we wanted. This game seems impossible to be made, too many features announced, too many technological hurdles, why do you keep supporting it? We've heard these arguments for the past few years and the game is still around, overcoming all these hurdles and impressing us with every new patch. This is game development with the shackles of a traditional publisher taken off, for better and for worse, and most of us are happy with the progress and choose to continue backing the game because of that. Is Star Citizen losing money, will it be bankrupt soon, how long does it have left, is the money-tracker fake? Star Citizen's Foundry 42 UK office has released financials for multiple years, and each year they've shown to be in the black. They have 500+ developers and are hiring more all the time, they said they would be running it as a live model, viewing what they make each month/year and adjusting their budgets, putting the money they raise into the game. Funding in general is not something we talk about too much and just focus on the game itself. 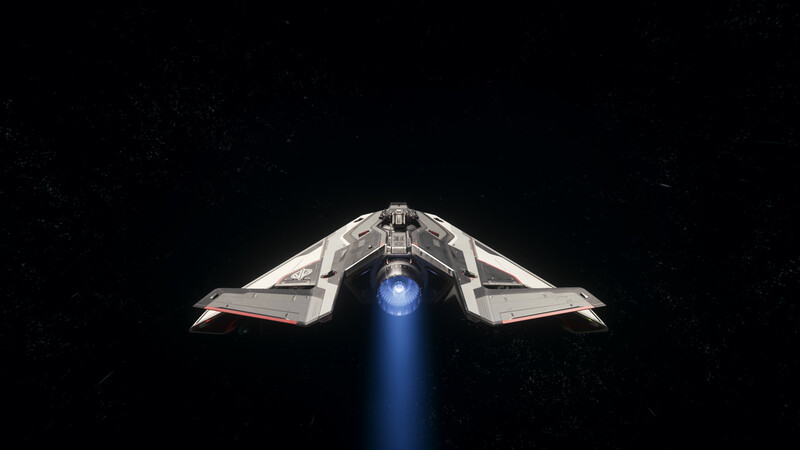 How can I keep up with the development of Star Citizen? 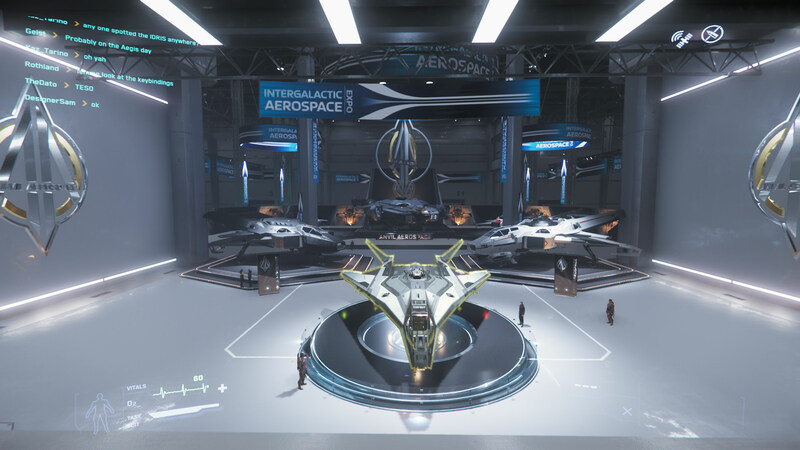 I think Star Citizen has a lot of feature creep, but I'm impressed with what they're able to do so far. Should I buy this game? The recommendation we always have is to wait and see how it goes, you're not losing out on anything by waiting to buy the game. However, if you have money you're willing to risk, and want to play the game earlier than normal, there is a game to play and you might have a lot of fun or frustration playing it, we've had plenty of both. Nobody here can tell you to buy the game or not, we bought the game because we want to see this game made but we have no interest in "recruiting" anyone. I want a polished experience and don't want to deal with all the frustrations that come with an Alpha. Should I buy this game? Note: This FAQ will be expanded upon in the coming weeks, months, and years. Huge thank you to Boss since I borrowed quite a bit from his 3.3.5 |OT| thread. Join us on Discord to play with other Era members, ask for help from Era's Star Citizen veterans, and just discuss the game in general. Nice, hope this event gets a few new eyes on the latest builds. Hopefully CIG have some surprises up their sleeves. Members from the community will be in Discord tomorrow when the event starts. If people find the game to be overwhelming at first, feel free to ask us for help. We'll probably be playing as well, so who knows what weird fun will ensue. Geist put up a link to the discord in the post below the OP. Mod Edit: Removed referral code. If you need any help this weekend, message me. I have discord and teamspeak. Im eager to help any newbie out in any time zone (im european). Can you sign up on the site and not download or play the game? I can't actually run SC but if I can just register an account and not actually play I'll do it just to use someone's reference code. You can register an account, without having to download the game. It's not up until tomorrow, just posted the thread a little early. Christ old man. Put your glasses on. Click on the big Star Citizen button on the top right. Ya, pretty sure he can't see the launcher without a package right now lol. We need to wait until free fly starts tomorrow morning. I'm tempted to agree with Boss on this one. I've been conciously keeping referral codes out of posts for a while now, thinking it good form. Ohhhhh. My mistake. Super sorry, Slay. Lol, Soo mean Shy. It's ok Slay, we have a special place reserved for Shy. It is a personal happy place in which the Star Citizen Launcher gets stuck in a perpetual loading screen. Tends to happen when you get impatient with all that slow loading. Geez guys, cool it will ya. We're supposed to be introducing newbies to Star Citizen. I'm closing this thread. First, your use of referral links is against our self promotion rules. Second, you need to get permission from an OT creator before you use assets and parts of their OT in your thread. You can either remake the thread without those assets or get permission from the OT whose assets you wish to use. Either way, don't post personal referral codes. It seems the parties involved have worked through their issues regarding the assets in the OP and as such I am unlocking the thread. Everyone please remember that you're still not allowed to post referral codes. This first link from the OP is pretty helpful - goes to their support page which has a lot of info to help people get started (account setup, system requirements, etc). The FAQ suggests that Star Citizen and Squadron 42 are separate game purchases. Has this always been the case? No. For backers who joined early they get both. It's more a loyalty reward tbh, but both are intended to be a full game alone anyway. They've been split into seperate game purchases for a while now. However I think there are still packages that include both. Super excited for this, shame there doesn't seem to be a preload though. Wonder how big the download will be. Free Fly should be active now. Edit: At least it would be if the site was working lol. "Unexpected token < in JSON at position D(or square sth)"
It is hammered right now. People who logged in game earlier are able to attend expo. Site and game seem to be working now. Not really. At least the site. Normally slightly north of 40 GB. Yes the site seems to be going up and down as well as issues getting into game. It seems they are getting alot of traffic. My game folder is 45.2 GB. Managed to get on the site and download the launcher. Will be an overnight download for me but excited to jump in at some point.